Congressman Gene Green was first elected to Congress from the 29th Congressional District of Texas in 1992 after twenty years in the Texas House of Representatives and the Texas Senate. In 1996, Green was appointed to the powerful U.S. House Energy and Commerce Committee, which he continues to serve on today. For the 113th Congress, he serves on the Subcommittee on Health, Subcommittee on Energy and Power, Subcommittee on Environment and Economy, and the Subcommittee on Oversight and Investigations. Since being elected to the House of Representatives, Rep. Green has been a champion of education, labor, energy, domestic manufacturing, health issues, and preserving Social Security and veterans benefits. He has worked hard to improve access to quality health care, support initiatives to improve our economy and job training, and maintain financial aid for students. Rep. Green has been involved in a number of local issues and projects. He has been instrumental in securing federal funds for the expansion of the Port of Houston and Houston METRO’s light rail; supporting the expansion of community health centers in the Houston area; and pushing legislation to declare the Buffalo Bayou a National Heritage Area. Rep. Green also organizes many annual events in the 29th District that serve the community. His annual “Citizenship Day” and “Immunization Day” are two of his most successful annual events, along with dozens of neighborhood town hall meetings each year. Green, a native Houstonian, graduated from Jeff Davis High School. He received a degree in Business Administration from the University of Houston in 1971. 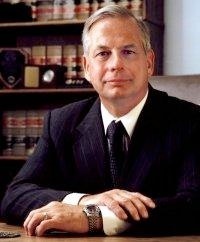 He attended Bates College of Law at the University of Houston and was admitted as a member of the State Bar of Texas in 1977. In 1970 he married Helen Albers Green. Helen retired after teaching math in the Aldine Independent School District for 26 years. They have two children; Dr. Angela Green Hewlett and Christopher Green, and four grandchildren, Lauren, Braden, Dylan and Tristan. The Green family attends Spring Woods United Methodist Church in Houston.